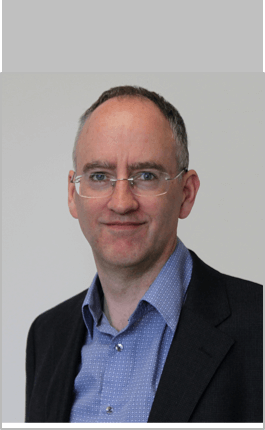 The three-day course, designed and delivered by Dr David Carslaw, the lead developer of openair, will be attended by representatives from local authorities from across Scotland. It will support air quality officers to unlock the full potential of openair software to tackle their local air quality management challenges. The openair package is open source software dedicated to the analysis of air quality data. It is one of the most powerful and widely used air quality analysis tools available, with over 120,000 downloads worldwide. The power and versatility of the software, and the almost endless capabilities of the R coding language which underpins it, has driven demand from users wanting to understand how to unlock the full value of the openair tools. Ricardo’s popular three-day masterclass helps users to overcome their air pollution data challenges through practical exercises that deploy advanced openair techniques to understand and analyse data. Participants use their own data during the course to ensure they learn techniques relevant to the challenges they face. Dr Carslaw’s team provides one-on-one coaching to help users understand the full power of openair, master its use, and enhance analysis of their air pollution data. The course in Scotland follows the successful three-day training in London, which was held during the summer and attended by a range of international air quality professionals. Attendees unanimously praised the course: giving the highest possible marks for overall satisfaction and stating that they would be extremely likely to recommend it to others. 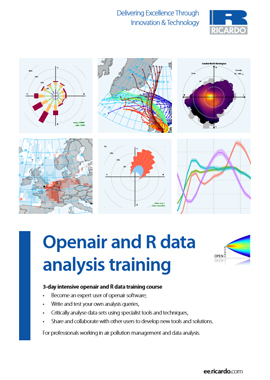 The next openair and R data analysis training course will take place on 4-6 March 2019, at Ricardo’s offices in London, Paddington.